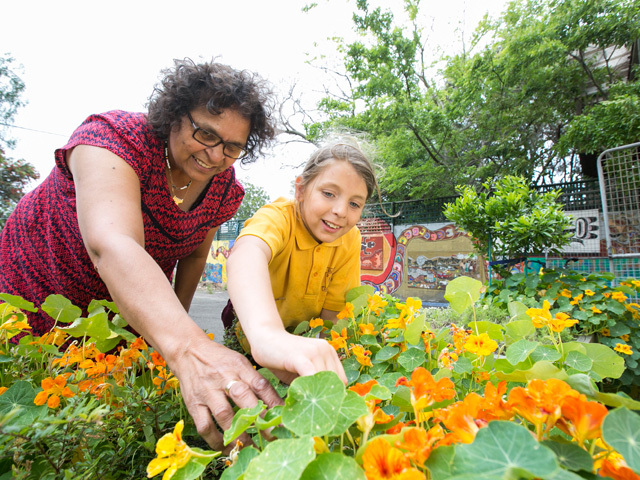 An Aboriginal community garden in Glebe is set to grow, with improved landscaping, restored artworks and fresh plantings of traditional bush medicine and food seedlings. 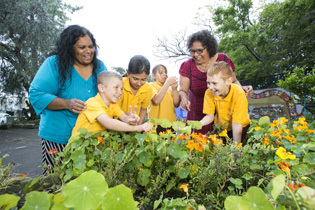 The Nura Nanga Mai garden at Glebe Public School has been a community gathering place for 12 years, and with the support of the City of Sydney will be reinvigorated to continue this important role for years to come. Lord Mayor Clover Moore said the restoration project was being undertaken by the Be Centre charity, Glebe TreeHouse community centre, Glebe Public School and Centipede Before and After School Care with the assistance of local Elders. “The Eora people are the first inhabitants of our area, so it’s important that the next generation of Australians learn about their enduring culture,” the Lord Mayor said. The City’s $4,745 funding will also help to introduce a Be Centre play-therapy bus to provide support for any local children who need extra help, are experiencing difficulties, or just need a place to express themselves. Be Centre Executive Director, Marisa Chilcott, said they would consult with the community and Elders to ensure everyone has some involvement in the restored garden and play-therapy van. This consultation will include workshops with artist Aunty Kathryn Dodd-Farrawell to develop two new garden artworks and a logo for the play-therapy bus. “We also plan to install a new section in the garden with traditional plants of medicinal and food value,” Ms Chilcott said. Be Centre and Glebe TreeHouse will also contribute financially to the project and the ongoing support and development of the project will be maintained by TreeHouse and the Glebe Public School volunteer gardening community. Images (top to bottom): Ngara Nanga Mai garden at Glebe Public School Kathryn Dodd Farrawell and Wendy Buchanan with students; Ngara Nanga Mai garden at Glebe Public School Kathryn Dodd Farrawell and Wendy Buchanan with students.